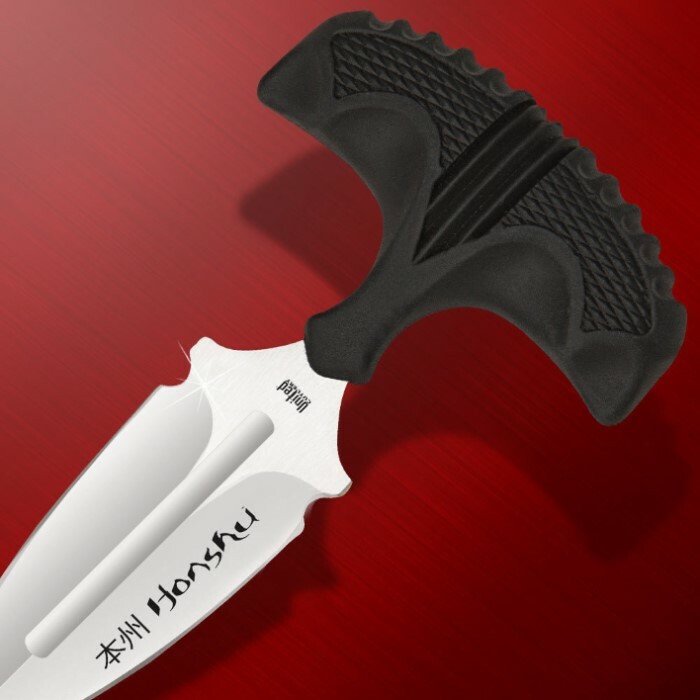 This tactical Honshu push dagger features a 7cr13 stainless steel blade with double edges and a rubberized, contoured grip for pure thrusting power. 4 5/8 in. overall, 2 7/8 in. blade. Like others have mentioned, dull as it gets straight out of the box. Sharpened up quickly. Comfortable to wear tucked in to your pants. Solid built, making it a great Personal Defense Weapon. 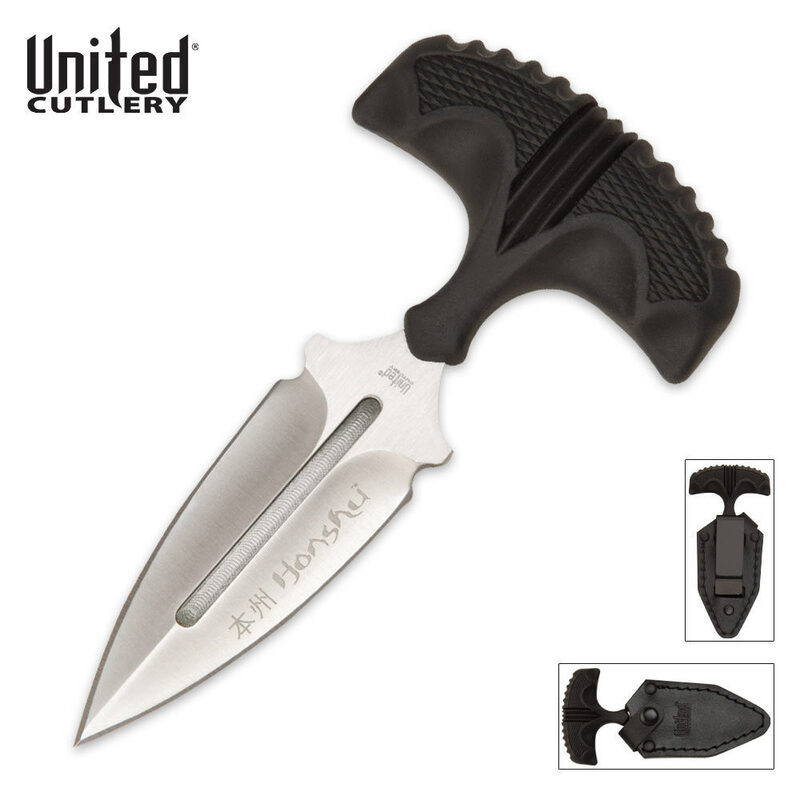 Like most United Cutlery pruducts, I consider this knife to be a pretty ornament or a neat toy in my knife collection. Would never trust it in any personal defense or survival situation. I practically had to reprofile mine to get an acceptable edge on it. But, if you understand that it's really an ornimental piece, its worth the money. Well pleased with this push digger. It is strongly made with a very good palm handle support that greatly adds to full power thrust.Needed some serious sharpening to bring edges up to par for slashing, but not a big deal. Good piece for it's intended purpose. also easily concealable. If you need a palm push handle weapon this is a very good one.